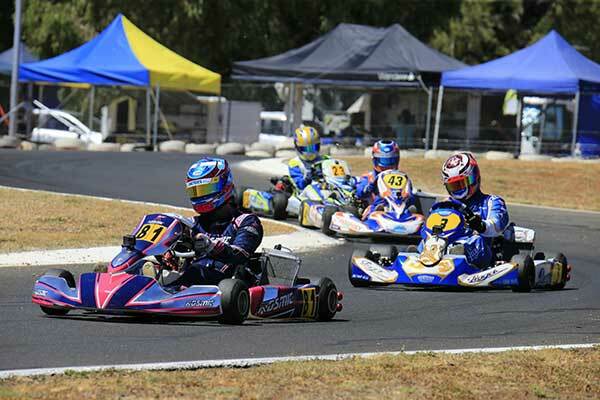 Palmerston North karter Josh Hart leads the points standings in the Rotax Light class heading into the third round of Australia’s Rotax Pro Tour at Ipswich in Queensland this weekend. 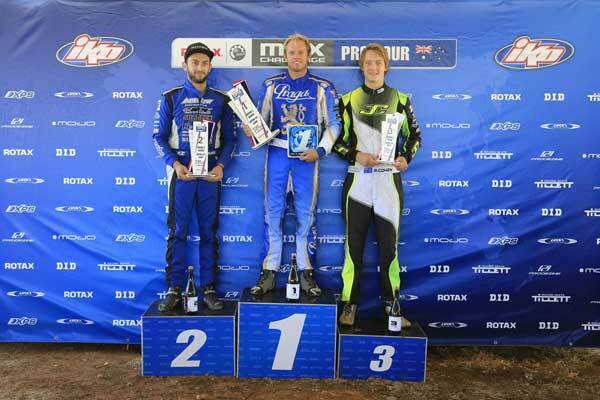 The series’ points lead is a major boost for the experienced Kiwi and came after a calculated charge from P4 on the grid to win the Rotax Light class Final at the second round of this year’s Australian Rotax Pro Tour at Dubbo in rural New South Wales in March. 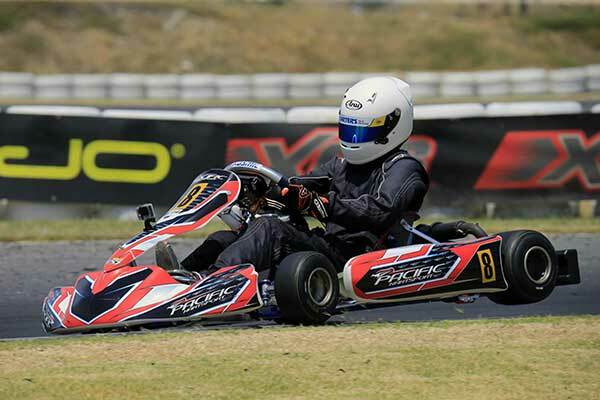 Hart, a multi-time former NZ champ and Rotax Max Challenge Grand Final representative, will be one of eight resident Kiwis contesting this weekend’s third Pro Tour round, and – with Michael McCulloch from the Kapiti Coast, and Rianna O’Meara-Hunt from Wellington – one of three racing in the Rotax Light class. McCulloch starts the weekend 11th overall after a seventh place finish at the first 2018 series’ ound in Melbourne in January and 13th at Dubbo in March. O’Meara-Hunt, meanwhile is 21st overall after struggling with kart set-up issues relating to the amount of lead ballast the slightly-built 16-year-old former Junior class race and round winner has to run to meet the Senior class minimum all-up weight. “We are hoping that a quick trip to Brisbane last weekend to cut some laps in what we are now calling our ‘lead sled’ on the D4 tyre and to play around some more with her seat position and where we place the lead will pay some dividends,” Rianna’s father Marty said this week. After Josh Hart, Tauranga’s Sam Waddell is the next best placed Kiwi, currently lying fourth overall in the points standings in the Rotax DD2 class. Then comes Palmerston North’s Jackson Rooney (11th in Junior Max), Ryan Wood from Wellington (12th-Junior Max), Aucklander Sebastian Manson (15th in Mini Max) and Connor Davison from Hamilton (18th in Junior Max). Wood is the real dark horse, having won his class at the opening series round and finished third at the second only to be disqualified (from the second round) over a technical infringement, hence his P12 in the points. He, however, is a potential round winner, as is compatriot Jackson Rooney, and Connor Davison has the speed for a top six finish this weekend.